Global Health Histories aims to publish outstanding and innovative scholarship on the history of public health, medicine and science worldwide. 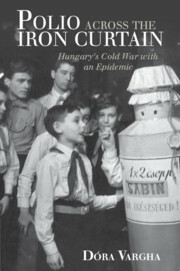 By studying the many ways in which the impact of ideas of health and well-being on society were measured and described in different global, international, regional, national and local contexts, books in the series will reconceptualise the nature of empire, the nation state, extra-state actors and different forms of globalization. The series will showcase new approaches to writing about the connected histories of health and medicine, humanitarianism, and global economic and social development.